* Exact price of the Sept 2013 Round-the-world flights will not be known till the end of October 2012. Taxes may also change. PLEASE NOTE: For the best outcome, it is necessary that flight bookings be made through our long-standing senior consultant, Anne O'Brien, who is able to provide for us a flight-share plan which will include the two South American sectors. If independent bookings are made, the latter two flights would not be included, and to do so independently, would ensure increased costs. Capricorn Travel (Vic) Pty. 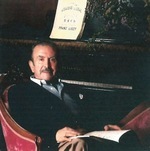 Ltd.
CLAUDIO ARRAU (1903 – 1991) was one of the greatest pianists of the twentieth century ... an aristocrat of the piano, who astounded all who heard him and whose production of special tone qualities was recognised and revered by all knowledgeable musicians. A great intellectual, who spoke five languages, who read voraciously and whose quest for knowledge remained all his life, he was as well, the most approachable and kindest of men and generous in his aim to help those young musicians who followed him. Arrau was born in Chillán, Chile, and it is there also where he is buried. What is extremely important in the context of this tour, is to recognise the unbroken heritage which, through Arrau, goes right back to the eighteenth century. Ruth Nye studied with Arrau, who had studied with Martin Krause, who had studied with Franz Liszt, who had studied with Carl Czerny, who had studied with Beethoven, who had taken lessons from Joseph Haydn! This is a remarkable heritage and one which cannot be valued too highly. Our guest musician in New York, French concert pianist, EMMANUEL DESPAX, studied with RUTH NYE, MBE, FRCM ... so is an important link in this extraordinary unbroken musical lineage. Various distinguished musicians and lecturers will be part of this tour. 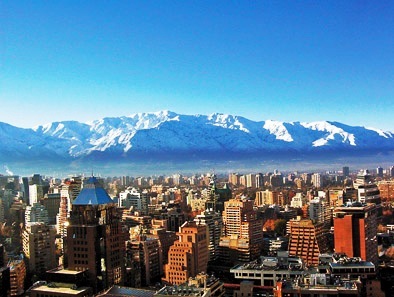 But also it is designed to offer the colour and diversity of Santiago, Valparaiso, Chillán, the snowfields of the dramatic Andes, and the vibrancy and colour (and tango!) of Buenos Aires! Then a wonderful and so different experience of the BIG APPLE ... NEW YORK, with all its amazing architecture, museums, great music, and diversity of experience too great adequately to describe here. First Class accommodation everywhere, including absolute luxury in New York and a Round-The-World air ticket to make it all possible. This is a FIRST CLASS TOUR in every sense of the term! Eighteen Days. Includes nine or more music performances, all breakfasts and 12 other meals. Also our policy always is to give our travellers one free day in each location. at Sydney International Airport and travel with them to Santiago. Depart at 9.25hrs on LAN-CHILE direct flight for SANTIAGO. with contrasting characteristics. Time to recover from your flight and perhaps take a leisurely walk. 15.00 hrs: Meet our charming guide with a love of this city for a 2 hour orientation of Inner Santiago. You will discover and hear the history of the impressive Cathedral, the historic post office building, the Presidential Palace, the delightful Casa Colonial and more. 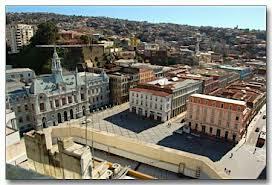 The bustling Plaza de Armas will provide your focal point. 18.00 hrs: First gathering in the Le Reve Bar over a Chilean cocktail and a discussion of the tour plans and how it relates to Claudio Arrau. You will have received a short biography of Arrau on booking and more in depth notes in the Tour Handbook received a fortnight before the tour. The discussion will enlarge upon this, dealing with his earlier German years and his early years of travel and performing. 09.00 hrs: Guided visit to the Museums of Contemporary Art and Fine Art. We take the first class morning train from Santiago to CHILLÁN. This is a comfortable journey of approximately four hours and you will enjoy the scenery south of Santiago during the trip. 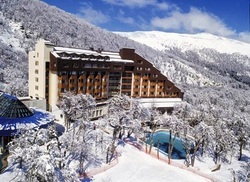 Chillán is close to the great mountains of the ANDES, and it is also where Claudio Arrau was born and is buried. Lunch will be served on the train. Swift transfer to our central HOTEL RIQUELME. 14.00 hrs: Our group will be greeted by the local representative of the CLAUDIO ARRAU MUSEUM and there will be a guided tour of all those local places important in the life of Arrau here, the avenue and other places named after him, and also including his beautiful dignified grave in the Cimetorio Municipal, on which there is engraved a stanza by a well known Carmelite monk. We will feel moved by the beautiful bust of Arrau beside the Chillán Municipal Theatre, which was unveiled by the mayor on June 6th, 1992. Chillán is a charming and easily discovered city. Dinner will be served, followed by a piano recital of works from Arrau’s repertoire to be given by a distinguished concert pianist. There are several lovely churches in Chillán. 08.00 hrs: Setting off in our private coach, we take a different route back to Santiago with several stops for interesting visits in the renowned wine regions en route. Transfer to Airport for our late morning flight to BUENOS AIRES, ARGENTINA. Departure of LAN flight to Buenos Aires. Arrival BUENOS AIRES and swift transfer to centrally situated First Class hotel, HOTEL SHERATON LIBERTADOR. 15.00 hrs: Depart with guide on a walking tour of the central city’s highlights, which will include the beautiful parks and gardens of Palermo, the old quarters of San Telmo, the historical Government House (Casa Roseda) the Congress and more. Dinner will be served in a hotel restaurant before our evening performance in the superbly restored and newly opened TEATRO COLÓN of such baroque splendour. TBA. This is one of the most famous Opera Houses in the world! Today we will visit the leading conservatory in Buenos Aires, the Conservatorio National Superieur for a concert, and some other sightseeing in and around this fascinating capital. This day will be left free with an OPTIONAL excursion out of the city offered. Options to be announced later. Must be accepted if wished at the time of booking. (B). A morning activity in the city and lunch will be arranged. Your luggage will be held in the hotel luggage room. transfer to our hotel, the marvellously located, HOTEL ROOSEVELT ... a midtown Manhattan address of elegance and great convenience, within easy walking distance of so many N.Y. attractions, such as newly renovated beautiful Grand Central Station, Rockefeller Centre, Times Square, MOMA, and many other attractions. This is our upmarket address for five nights. Make the most of it! There are many small cafés and delis close by. Early occupation of rooms will have been arranged. Restful recovery time and perhaps a short walk. 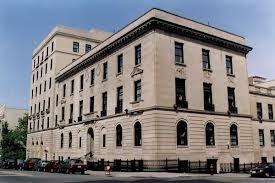 16.00 hrs: Meet in lobby for an Orientation tour conducted by one who knows well and adores New York. You will be given your wonderful New York Passes which provide free transport and entry to many museums as well as a ferry ride around the island. And more. comfort of our beautiful Roosevelt rooms. We also meet our distinguished young guest, French pianist, EMMANUEL DESPAX, whose association with Arrau through his teacher, Professor Ruth Nye, is significant. Emmanuel Despax is well established in his performing career in the UK, France and other European places and in NZ and Australia, and has received outstanding reviews. Before this tour, you will read in your Tour Handbook a much more in-depth and updated version of Emmanuel’s biography. We are very privileged that Emmanuel Despax will join us in New York. 09.30 hrs: This morning we will visit Arrau's former home, situated at Douglaston, where he lived with his family for almost 50 years. The new owners generously permit a brief visit to this most interesting house and a talk by our guest musician with connections to the late maestro. A walk in this delightful upmarket waterside village with its historic houses and lunch will be included. 14.00 hrs: The New York Metropolitan Museum of Modern Art is one of the great museums of the world in which one could quite happily and profitably spend an entire day. The interior itself is most beautiful and the variety of the contents remarkable. We will go by a short bus trip up Madison Avenue followed by a very short walk and we are there. With your own map of the layout you will be left to enjoy two or three hours (or more) here. It is best done at one’s own pace. 20.00 hrs: Another dinner? Another plan? A major N.Y. performance? All to be revealed further ahead when 2013 performance details are released. 10.00 hrs: We depart on a visit to the famous Manhattan School of Music, and meet the distinguished Head of the Piano Department, Dr Marc Silverman, himself a well known performer on the New York scene. Here, EMMANUEL DESPAX will give a recital of works from Claudio Arrau’s repertoire ... probably Beethoven, Liszt and Debussy. The exact program will be notified in your Tour Handbook. We will be joined here by some very talented students working towards their Bachelor and Master’s degrees. Lunch will follow this visit ... maybe at ‘Balthazar’ in SOHO, followed by a walk tour in this fascinating area or a similarly interesting one. TBA. New York is a city which is so well covered by so many guided walks. This afternoon we will enjoy two of these which will be very different in character, and cover very different parts of New York. TBA. Today will be your absolutely free day to spend in New York as you please! We will have very detailed printed suggestions and directions for you. Museums of your choice (like MOMA), other regions not already covered, and anything in particular can be facilitated for you, so long as requested well ahead. The extraordinary and very diverse Natural History Museum is a ‘Must’ for many New York visitors. It provides an aural guide which is three hours long, but of course, you don’t have to take this guide. Shopping in New York will be another ‘Must’ for some, and your hotel is so well situated for easy accessing of some of the great shopping opportunities for which the city is famous. Maybe this will be the evening when you would like to see a Broadway Musical? Among others, CHICAGO is still doing well and is highly recommended. Let us know well ahead and we can assist with bookings for you. But this will not be included in your tour costs. This will be the last full day of our tour. So we plan to make it a great one. Details further down the track, but we do have plans to cross the Brooklyn Bridge for an afternoon chamber music concert ... “Barge Music” ... a unique New York floating experience. And another ‘must’ will be “Tea at the Palm Court” of the Plaza Hotel. Our wonderful tour ends after your last Roosevelt breakfast. You will have made your on-going travel plans well ahead and with your RTW flight tickets, there will be considerable flexibility. You may stay on in the U.S. and fly back to Australia via London ... or via a European city such as Paris so long as travel continues in the one direction. All assistance will be given. But your flight requests need to be outlined at the time of booking. And also, if you should wish to stay on further at the Roosevelt Hotel, this can be arranged, but must be requested at the time of booking. French pianist Emmanuel Despax is fast making a name for himself as a musician on the rise: recent highlights include his return to the Wigmore Hall for the fourth time, giving a recital at Paris’ Salle Gaveau and opening the International Series at the Louvre, which was broadcast live on France Musique and Medici TV. Internationale de Musique á la Cour, Solliès-Pont; a gala concert at la Roque d’Anthéron; Le Festival de Lacoste and Le Festival des nuits du Château de la Moutte, St Tropez. Elsewhere in Europe he has given recitals at Fazioli Auditorium in Italy, the Gasteig Blackbox, Munich and the Palais des Beaux, Belgium. Drapers’ Hall and the Chipping Campden and Petworth Festivals. At thirteen Despax gained a place at the Yehudi Menuhin School where Ruth Nye, one of Claudio Arrau’s finest students, recognised his talent and had a profound effect on Emmanuel’s developing musicality. On gaining a full scholarship to the Royal College of Music, Emmanuel won numerous awards, including the college’s most sought after prize, the Tagore Gold Medal, as well as the Kendall Taylor Prize in the Beethoven Competition, the Esther Fisher Prize for best undergraduate and the Chappell Medal. While still at college, Emmanuel was chosen to perform Braham’s First Concerto under Andrew Litton with the RCM Symphony Orchestra. Throughout his studies he also participated in master classes and worked with such eminent musicians as Nikolai Demidenko, Leon Fleisher, John Lill, Dominique Merlet, Yehudi Menuhin, Mstislav Rostropovitch, Murray Perahia and András Schiff. 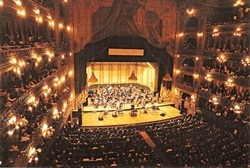 resulting Wigmore Hall recital was recorded live and released on the Jacques Samuel Label. “This disc is about Despax – he impresses – and he is all about the music.” The International Record Review. Visit the Emanuel Despax web site.